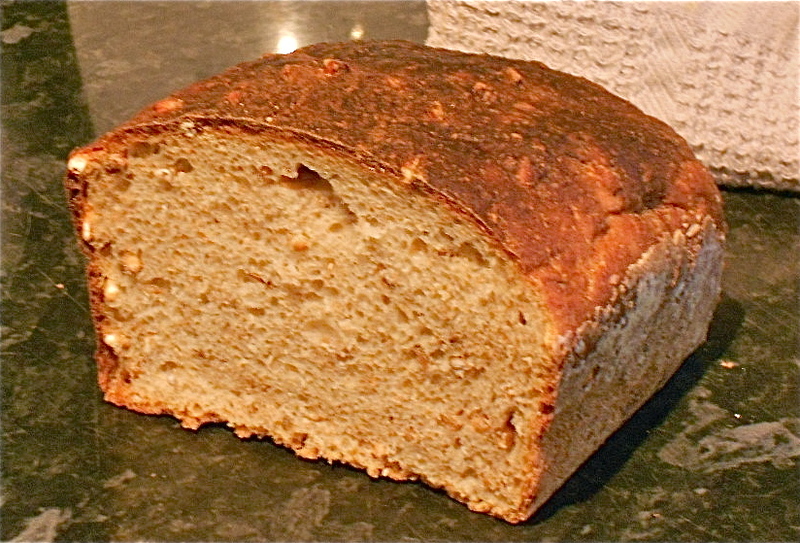 I love this bread, the basic recipe is the one my lovely Mamma used to make, but I have added in a few flavours that I particularly like and it helps to rack up the nutritional values too. My Mamma (have I said this already) is an amazing cook and as a child my taste buds were in absolute heaven everyday. We all went home for lunch everyday and I didn’t really get to taste anyone else’s cooking until I was perhaps 7 or 8 years old. When I was 9 years old I made a complete fool of myself at school. I think I had been made to eat something from the school kitchen for some reason and I stood up in front of the class and announced that my mums food was the best because she had a special flavour that came out of her hands. How they laughed – what a wally I was!! 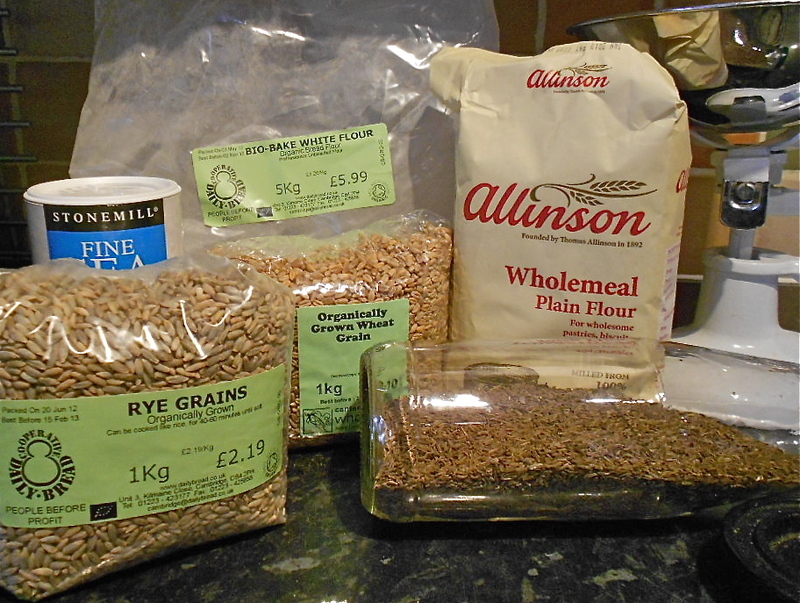 After you have got the Biga waking up, pour hot water onto the wheat and rye grains and let them soak over night. 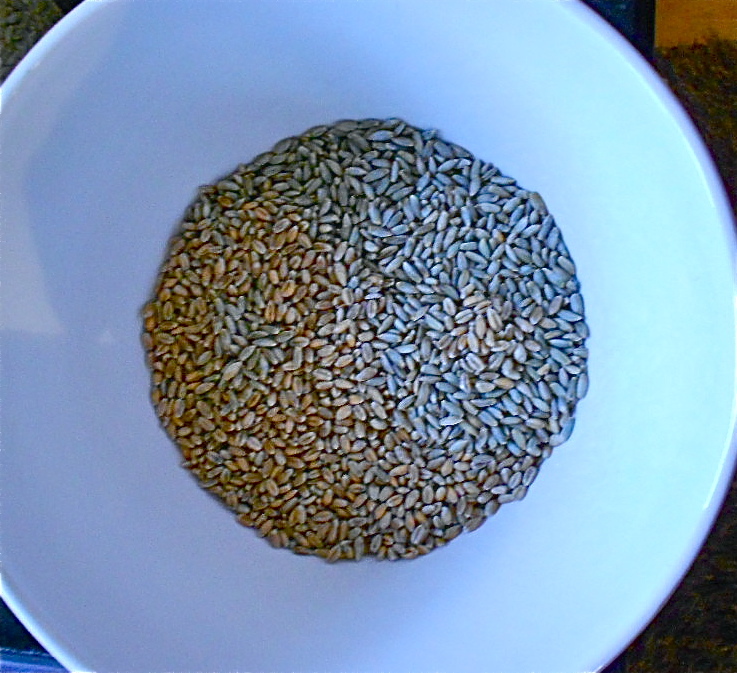 In the morning drain them and add them with the caraway seed into the flour as the dough is being made. 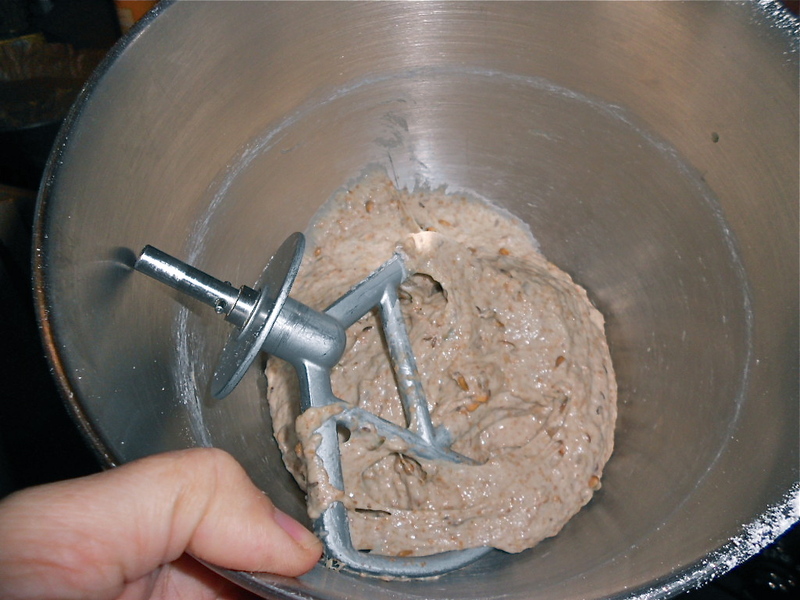 Put it into the food mixer bowl (or just a mixing bowl if you are doing it by hand). Add in all the other ingredients and using the paddle (or your hand) mix for a few minutes to bring everything together. Let it be for 10 minutes and now you can give it a really good mix, knead for a good 10 – 12 minutes, really getting into it and stretching the dough. 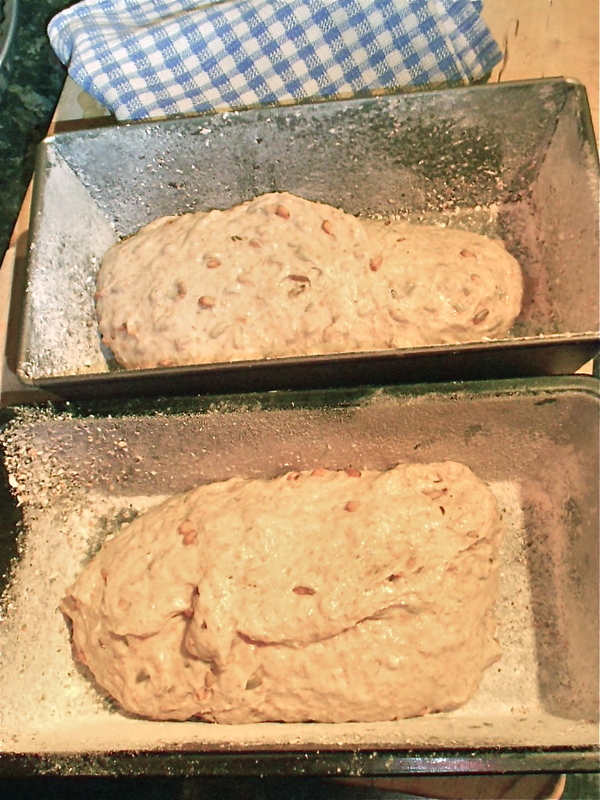 I leave the dough to rise in its bowl, covered in cling film in the refrigerator for 10 – 12. Remove from the refrigerator and allow it to warm up at room temperature an hour. Divide the dough into 2 pieces, and shape then how you like, I prefer to cook them in a loaf tin so that they are nice and tall for slicing. 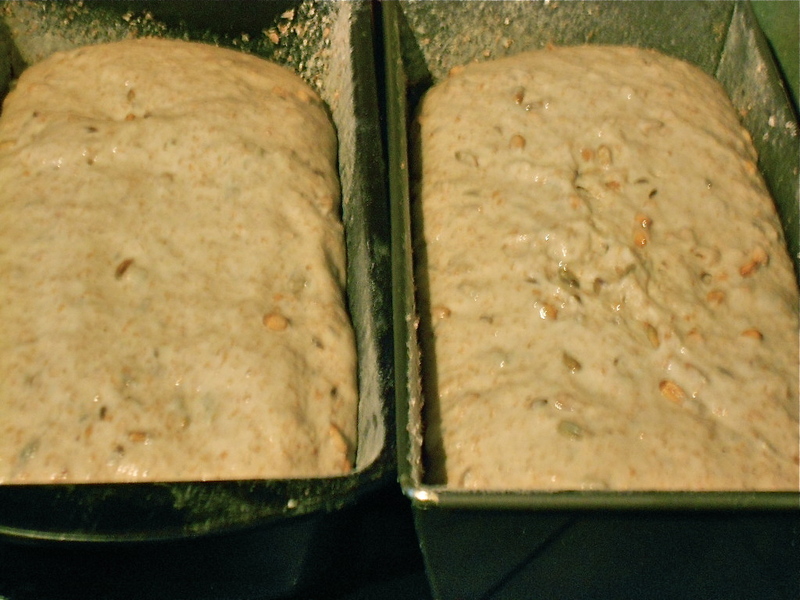 Cover the bread and let them rise in the fridge for another 10 -12 hours, until they have doubled in size. Preheat the oven to 450° F 230˚C Gas 8. Now you can spray them with fresh water from a mister or sprinkle some water on top of them, this gives them a chance to rise and then gets a nice crust going too. Bake them for 25–30 minutes, you can check if they are cooked by tipping one over and rapping the base with your knuckles, it’ll sound like you’re tapping on the sole of your shoe – YAY! ITS READY! !